Existing-home sales increased modestly in February, but constrained inventory levels pushed price growth to its fastest pace in a year, according to the National Association of Realtors (NAR). The median existing-home price2 for all housing types in February was $202,600, which is 7.5 percent above February 2014. This marks the 36th consecutive month of year-over-year price gains and the largest since last February (8.8 percent). Adds Yun, “Severe below-freezing winter weather likely had an impact on sales as more moderate activity was observed in the Northeast and Midwest compared to other regions of the country." Total housing inventory3 at the end of February increased 1.6 percent to 1.89 million existing homes available for sale, but remains 0.5 percent below a year ago (1.90 million). For the second straight month, unsold inventory is at a 4.6-month supply at the current sales pace. Distressed sales5 – foreclosures and short sales – were 11 percent of sales in February, unchanged for the third consecutive month and down from 16 percent a year ago. 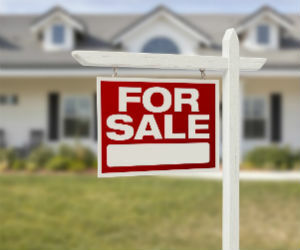 Eight percent of February sales were foreclosures and 3 percent were short sales. Foreclosures sold for an average discount of 17 percent below market value in February (15 percent in January), while short sales were discounted 15 percent (12 percent in January).